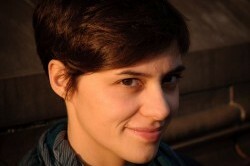 Valentina is a scientist and literary translator. Both jobs satisfy her analytical mind and inquisitive nature, fostering creativity because they force her to exercise her imagination within strict constraints. Having translated a few novels from English and Serbo-Croat into Italian (her native language), Valentina is now beginning to translate into English. She is also interested in translating for theatre, and has recently been selected to take part in the [Foreign Affairs] Translates! Programme. Valentina has experience as a leader and facilitator of translation workshops in primary schools and loves watching her young audience cracking the code of a new language. She believes that translation – like other artistic disciplines – is a form of activism, and one which is needed now more than ever.